A certain individual recently claimed that ‘rock is dead’. But if one band has set out to prove the statement wrong, it’s the modern icons of Breaking Benjamin. The band just released their first album in six years, titled Dark Before Dawn, and it premiered at the number 1 spot on the Billboard Top 200 chart. That’s right. A rock album outperformed all the trash releases that tend to top the charts in this modern age to prove once and for all that rock is well and truly alive. In addition to the charting of the album, their single Failure debuted at number one on all rock and alternative radio airplay charts as well, and has been peaking at that same spot for over 8 weeks straight at the time of writing. This makes Dark Before Dawn the highest debut for a Breaking Benjamin album to date. 2006’s Phobia debuted at number two on the Billboard Top 200, and 2009’s Dear Agony at number four. This great achievement was reached despite the fact that the band’s front man, Ben Burnley, is suffering from an unknown illness that strikes him with constant agonising pain. Holy crap that is dark. Burnley’s illness eventually made it very difficult for him to tour with the band, and this caused a rift among the members. There was some legal issues pertaining to the name of the band, and who in the band had the rights to the name. This was the main reason for the six year delay in releasing new music. Now that the issues have been sorted out, Burnley was able to reconstruct the band with new members and release new music. Even in sickness and pain, Burnley and the rest of Breaking Benjamin rock on to bring us the biggest rock, and yes, perhaps even the biggest over-all album of 2015. 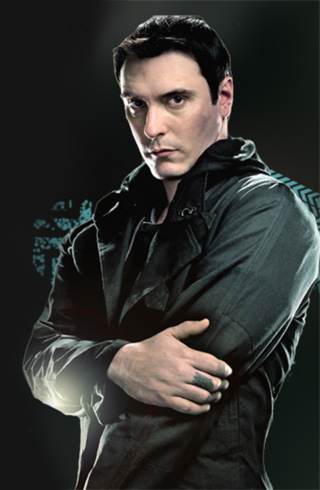 Below is Breaking Benjamin’s latest single off Dark Before Dawn, titled Defeated. Defeated the nay-sayers are indeed.